I'm interested to see how this Infrastructure SA malarkey turns out. In theory it's a good idea and *may* lead to a more coherent stream of infrastructure projects coming online rather than the piecemeal approach we have had in recent years. Of course, it might well just be an excuse for the Libs to spend absolutely nothing on infrastructure for five years, then decide against taking up any of the recommendations that do appear before eventually disbanding or privatising Infrastructure SA as a cost-cutting exercise. Number 5 is presumably academic as it's fully funded and pretty much underway. I would have thought Number 1 has already been assessed to an inch of its life in terms of economic benefits, although presumably the tunnel vs trench issue needs to be resolved. IGA and Foodland will live on forever. Good result. Perhaps the only aspect of deregulation that could be worth supporting is ending the 11am opening time for many shops on Sundays. This is based around the outdated idea that everyone goes to church. However, 9am on a Sunday isn't necessarily a popular time to shop. Such a shame, but typical South Australia. Sorry, you're a fence sitter Rev. A leftie, then a rightie. Sure you're not a S.A Best senator? Last edited by Jaymz on Sat Oct 20, 2018 7:35 am, edited 1 time in total. Sorry, you're a fence sitter Rev. A leftie, then a rightie. Sure you're not a S.A first senator? I'm not driven by a political ideology. Deregulating shop hours makes sense, just as it makes sense to provide welfare and housing to those in need or not totally destroying our environment. I'm all for deregulating shop hours. Retail businesses should be able to open and close at whatever times, or be open 24/7. The only restrictions should be on what type of business it is and what it's location is eg suburban residential area(eg the exelcisior pub in hakwer street), and what it's impact would be on local residents. A lot of people work shift work, not regular 9-5 jobs. This should be reflected with shop trading hours imo...more employment, being open longer therefore needing more staff..more people will be able to spend their money at different hours of the day/night, therefore economic activity would increase. Yep. And thanks for clarifying. I myself have been a FIFO worker for the past 20 years, I work when I'm rostered, Christmas, New Years, the works, flat rate, no penalties. So I'd like to shop when convenient for me. Mostly though, S.A is on the cusp of a tourism boom. I'd like them to be able to shop when they like, plus take away a more positive view of our awesome city. I don’t know if it’s possible but if the govt tried to pass de-regulated zones like Rundle Mall & Jetty Rd Glenelg they may have more success in getting it passed. I know they have already very flexible trading hours/days now but to go the whole way may also serve as a good trial/test on what the positives and negatives are. Then it would cater to the tourists and not impact the small businesses who feel threaten by the Westfield’s etc getting even stronger and also the majority of retail employees who may want to keep their current rights. Not dead and buried. It's the likely death of SA Best though. The public want it, will be an election issue. The State Government faces a backbench revolt unless it gives farmers the power to prevent mining companies from using their land, as up to eight Liberal MPs prepare to cross the floor next week. The Advertiser understands six Lower House MPs flagged in the Liberal party room that they could cross the floor if a Bill to amend the state’s Mining Act remains as it is. Party sources consider four backbenchers a real chance to vote against the legislation. Backbenchers Fraser Ellis, Steve Murray and Nick McBride confirmed they would cross the floor if the Bill remains as it is, after the Government confirmed its intent for the Bill to be debated in Parliament on Tuesday. Another three have reserved their rights in the party room, with one considered highly likely to cross the floor unless Energy and Mining Minister Dan van Holst Pellekaan agrees to a compromise. Upper House MP Terry Stephens also confirmed he would cross the floor, while Dennis Hood is understood to have reserved his rights and could join him. Narungga MP Fraser Ellis, Davenport MP Steve Murray, MacKillop MP Nick McBride and MLC Terry Stephens. MPs said they would try to amend the Bill during a party room meeting but felt they had no option but to cross the floor if it was pushed through next week, saying Mr van Holst Pellekaan had a “tin ear” and would not listen to community concerns. The Advertiser sought comment from the State Government on Friday night. Despite the Government’s Bill mirroring the one introduced by the Labor Party last year, Opposition energy and mining spokesman Tom Koutsantonis said Labor had yet to settle on a position. “We’ll wait and see what they finally debate. We’re keeping our options open,” he said. The legislation would fail to pass if Labor joined the backbenchers and independent MP Troy Bell in voting against it. Yorke Peninsula MP Mr Ellis said the Government would only “further alienate the party’s ordinary members” if it pushed through the legislation as it is. He said the regional community also felt dismayed Mr van Holst Pellekaan had not held his own consultation on the Bill, despite a Liberal Party commitment to do so. Labor’s Bill, which was not passed before Parliament prorogued last year, was heavily criticised for being “rushed” through by the former government, and not holding a proper consultation process with South Australian farmers. “People felt the Labor Party’s consultation was a sham and now the Liberal Party has relied on that consultation to formulate our own Bill,” Mr Ellis said. A meeting of the Liberal Party’s Rural and Regional Council – one of three internal councils representing party members’ views – last weekend moved a motion for the Government to amend its Bill. Chairwoman Nicola Centofanti said the council wanted to remove the section of the Bill that gives mining companies the power to appeal in court to access land used for cultivation. “We’re not anti-mining, but we want farmers to have the right of refusal so they get to make that choice,” she said. Mr Stephens said he would not be in Parliament without the Rural and Regional Council and felt duty-bound to stand up for regional party members. SA Chamber of Mines and Energy chief executive Rebecca Knol said the mining industry “categorically opposes” farmers being given a right to veto mining access. She said SACOME supported the Bill as it stood. Mr van Holst Pellekaan told The Advertiser on November 2 that the Government would continue to consider opinions from the agriculture and resources sector about how they could coexist for the benefit of the state. “Agriculture continues to be our strongest industry and mining is our state’s best growth opportunity, so it is critical we ensure both sectors succeed,” he said. The Libs are using their honeymoon period to its full extent. They've failed pretty much all of their pre election promises in this 12 months. Still 3 years i suppose. As long as the momentum on the NS corridor is maintained I guess their term in power won’t be a total failure. Didn’t labor and the greens block the shop hours deregulation? Can’t really blame the Libs on that when Labor stick to their ideological political beliefs rather then vote in favour of what’s best for the state. Essentially yes, add in SA Best. I wonder how long the globelink report will take? That would put them 0-4 if that comes back as a no goer. He said today that Infrastructure SA – set up to develop a 20-year state infrastructure strategy and five-year infrastructure plans – would hold its first meeting on February 5. Previously announced chair Tony Shepherd will be joined on the board by business executive Carolyn Hewson, planner Amanda Price-McGregor and engineer Robert Rust. 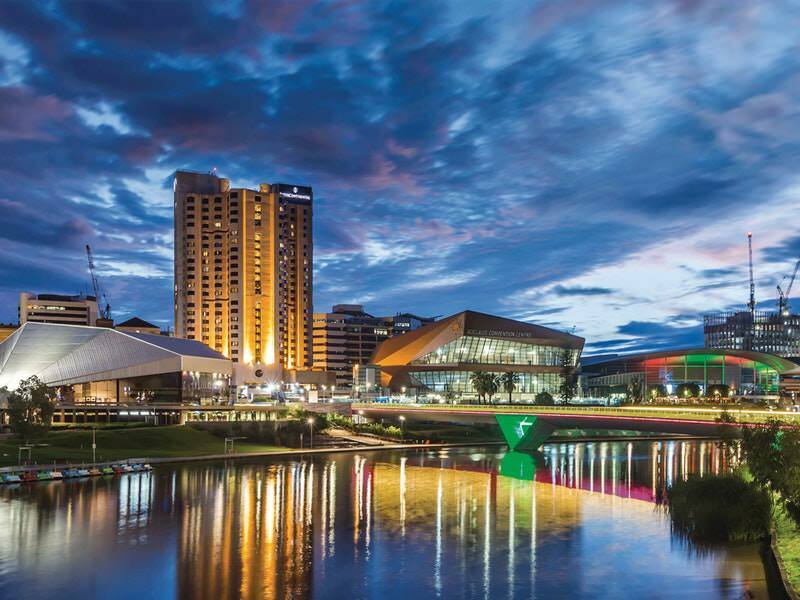 Three chief executives from the South Australian public sector have been appointed as ex officio members of the board, which Marshall says will provide independent advice to his Government. “There was very strong interest in the Infrastructure SA board positions and the Government received expressions of interest from more than one hundred people, including many outstanding candidates,” Marshall said today. Hewson has more than three decades of experience in business, primarily in the financial sector, and is a non-executive director of BHP. Price-McGregor is the managing principal consultant and owner of Green Light Planning Solutions and has experience in “infrastructure planning, strategy development, project execution and development approvals in public and private sectors”. Rust has had a long career working on major projects in the public and private sectors and was chief operating officer of Sydney’s huge WestConnex motorway project. The board members will be joined by the chief executives of the Department of the Premier and Cabinet, Department of Treasury and Finance, and Department of Planning, Transport and Infrastructure.